This survey shows the attitudes of young people toward Google and its slogan 'Don't be evil' in the United Kingdom (UK) in 2014. 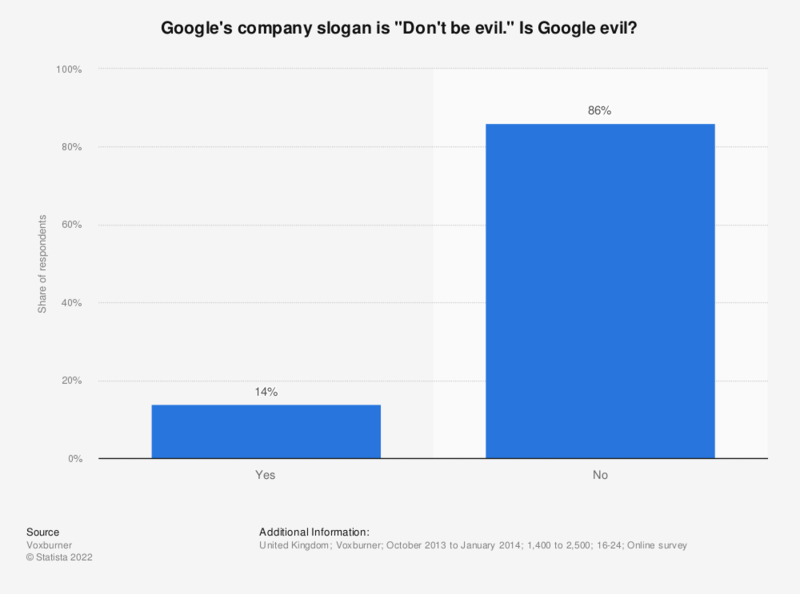 According to the survey, 14 percent of the respondents share the opinion that Google is evil. Would you consider yourself to be more of a saver or a spender?